Note: This is time sensitive data. On July 12th we heard from God and all the other Luminescents, Master Kato and the entire Collective of Masters, that 2 weeks from that date they wanted us to energetically come together and start manifesting everything that all other Winter People along with ourselves, will need to not only fulfill our individual as well as planetary missions, but we need to also call-in all physical, financial and Spiritual resources and sources so that we can serve one another and continue to be of service to others. If you remember…. God said during the last organized PUSH movement that in the future He would be calling upon everyone as Co-Creators to actively participate in some powerful movements. This is one of them. The FUTURE is NOW! The CALL has been issued!!! Are you ready to take a leap into the void? Along with ourselves God has asked us to invite another person who is a highly evolved individual to work together with us on this project. We will be bringing extremely high energies into the manifestation process in order to enrich and enhance all Winter Peoples’ abilities to bring in everything they need to expedite their own manifestation process. Many years ago God gifted us all with the gift of Spiritual Alchemy and He has requested that NOW is the proper gridline intersection for this gift to be used. So it is that on July 26th at 7:00 PM, in all time zones, WE will Collectively PUSH. Some ironic humor here is that we did not know until we looked at the calendar, that this PUSH will take place on Celest’s 26th Walk-In Birthing Day. Another aspect of this Universal humor is that it is her 26th Birthday on the 26th of the month. Cute huh? We ask that you reach out to all your friends and contacts and ask them to heavily promote this PUSH. The wheat and the chaff are being separated. By working together we can all achieve many great changes which will ultimately benefit us all. 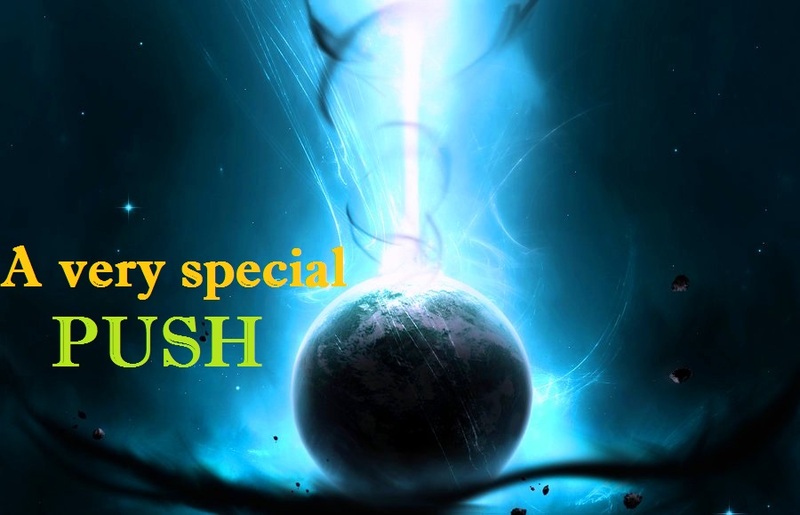 All information about Project PUSH is stored on the www.awakenedhearts.com website.